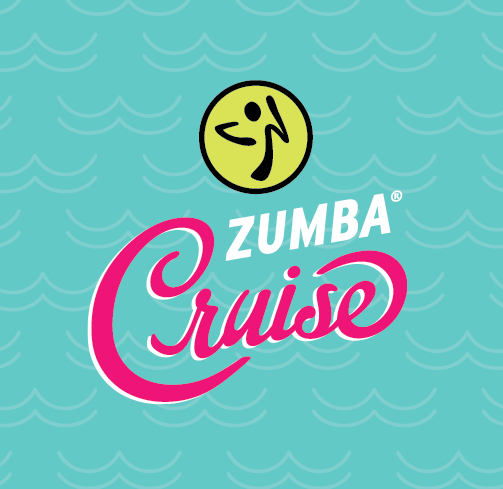 Following the success of the first ever Zumba® cruise, the dance-fitness group is organizing another group cruise aboard a Royal Caribbean ship. The next Zumba® Cruise is planned for a 5-night sailing of Navigator of the Seas from Miami on April 23, 2017. "We were thrilled with the incredible response we got from the success of the 2016 Zumba® cruise. There's no better way to enjoy the dance and fitness activities of Zumba® than combined with the Royal Caribbean experience, with features such as the ice-skating rinks, rock-climbing walls, delectable dining and world-class entertainment," said Vicki Freed, Senior Vice President, Sales and Trade Support and Service. "We're excited to host Zumba® once again, and now on Navigator of the Seas." Those interested in more details can visit zumba-cruise.com. For fans of Elvis Presley, there are a couple of Royal Caribbean cruises for you! Mahwey Productions is offering themed cruises entitled, "Cruising with the King", where guests can have a "full King experience" on select Royal Caribbean ships. It is a tribute to Elvis' career, from the nostaligic 1950's to his '68 Comeback Special, Hawaii, Las Vegas and beyond. Events include tribute performances, a Meet-and-Greet, photo ops, Q & A with the tribute artists, a gospel tribute — and more! 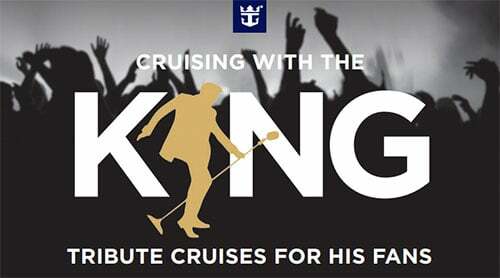 Cruising with the King entertainment fee is $99 per guest. Certain restrictions apply. When booking reference option code MZK8. Royal Caribbean's Mariner of the Seas will host a world-first dance theme cruise, featuring regional dance veteran Aleena Tan as well as world and regional renowned coaches such as Burn The Floor’s Luka Fanni from Italy, Peter Townsend and Belman Salihovic from Australia, Sunny Low, Derrick Torre and Feliz Ferlino from Singapore and Uapan Sdnivongs from Thailandi. This special event will take place on a 4-night cruise from February 29 to March 4, 2016 from Singapore to Kuala Lumpur (Port Klang) and Langkawi is expected to attract dance enthusiasts from across the region, who will enjoy the exclusive tutelage under these world class class veterans, all brought together on this cruise. Workshops onboard will offer guests ballroom and Latin dancing, Banchatango, New Vogue and Rock ‘n’ Roll classes, and include demonstrations from the coaches. In addition, the event will offer previews and dance shows on Cha Cha, Samba, Rumba, Paso Doble, Jive, Waltz, Tango, Slow Foxtrot and Quickstep, along the ship’s 136m-long Royal Promenade and in the 1,300-seater theater. Performers will include Professional Champions from Russia, Mikhail Eremeeve and Olesya Eremeeva. For fans of Elvis Presley, there's a couple of Royal Caribbean cruises for you! Mahwey Productions is offering themed cruises entitled, "Cruising with the King", where guests can have a "full King experience" on select Royal Caribbean ships. Events include a Welcome Aboard Tribute concert, tribute performances, "Sing Like the King" karaoke, Elvis trivia and Elvis sightings onboard the ship. More details about the group cruise can be found at the group website. Rebel Ink magazine has announced a tattoo-themed cruise aboard Royal Caribbean's Liberty of the Seas. The magazine for all things tattoos is inviting fans of the art to join them on April 16, 2015 for a four-night cruise out of Fort Lauderale with special events just for those who join in. Also attending the cruise witll be celebrity tattoo artists such as Tatu Baby, Amy Nicoletto, Chris Torres, Sarah Miller,Mark Longnecker and more. More information is online at the Ink or Swim website. Make-A-Wish Metro New York and Make-A-Wish New Jersey are teaming up to offer a special two-night pre-inaugural cruise on Royal Caribbean's newest cruise ship, Quantum of the Seas, that will benefit the Make-A-Wish foundation. 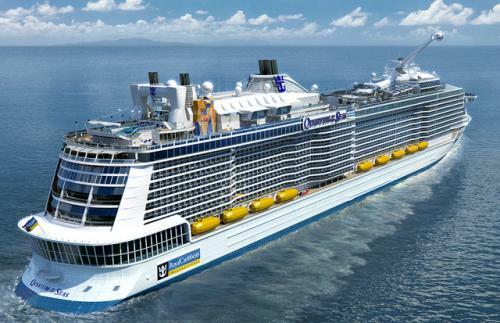 The special Quantum of the Seas cruise sails November 14-16, 2014 and all proceeds benefit Make-A-Wish Metro New York and Make-A-Wish New Jersey. Those interested in going on this cruise can find booking information online here. Please call Danielle Nalbone, Director of Special Events at Make-A-Wish NJ with any additional questions at 609-371-9474 or dnalbone@wishnj.org. Dating sites Match.com and SinglesCruise.com are planning a special Halloween cruise aboard Royal Caribbean for those looking to meet someone special. Those that book through Match.com or singlescruise.com will have access to special events and a private message board to meet fellow single passengers on their trip. The first cruise for singles is a Halloween cruise on Allure of the Seas that leaves on October 26 and takes an Eastern Caribbean itinerary. The cruise will feature a costume contest, Halloween-themed events and mixers and other activities, including a singles dinner and speed dating. For more information, visit singlescruise.com. Credit to USA Today for alerting us to this event. 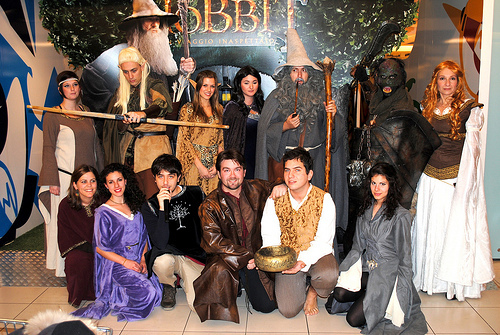 If you're a fan of The Hobbit and Lord of the Rings, then there's a Royal Caribbean cruise for you. 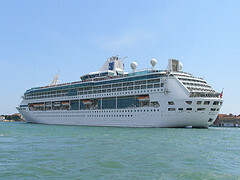 Trilo3y Voyages is planning group cruises aboard Royal Caribbean ships to create, "Tolkien Cruise Event of a Lifetime". The group cruises promise a lot of Hobbit geekery, "There is the opening night black tie gala…pointed ears optional. Hang by the pool the next day as we search for the winner of our Hairy Hobbit Feet Competition…then don your outfit for the ultimate cosplay competition at our middle-earth masquerade Ball..pointed ears required!!! During the cruise come browse our middle-earth marketplace….a visual walk through Middle-earth as you check out 4000 square feet of art, gaming, literature and memorabilia based on the myriad works of Professor Tolkien." 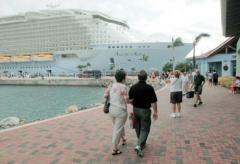 The group also has plans for group cruises on Royal Caribbean ships in 2015 to Bermuda, Paris & Brussels and Australia. The third annual Legends of Rock cruise is planned aboard Royal Caribbean's Liberty of the Seas for February 19 – 23, 2015 and headlining the event is Alice Cooper. The cruise will feature performances on four different on-board venues. Rock Legends Cruise III is a private event sponsored by the Native American Heritage Assosciation. Those looking to visit important historical sites to the Christian faith may find an upcoming cruise group of interest to them. The Archdiocese of Genoa is planning a group cruise aboard Royal Caribbean's Legend of the Seas that will sail a western Caribbean itinerary for a journey of spirituality. The cruise is a seven-night cruise that departs Genoa on July 28, 2013 and will stop in Marseille, Barcelona, Palma de Mallorca, Valencia and Rome. During the cruise, there will be visits to churches and cathedrals such as the Sagrada Familia in Barcelona, St. Peter's Basilica and the tombs of the popes in Rome. Prices for this cruise start at 998 euros per person for an inside stateroom (based on double occupancy).